The timeless design of this cap will never go out of fashion. It can be worn in any season as a great accessory to casual or athleisure wear. 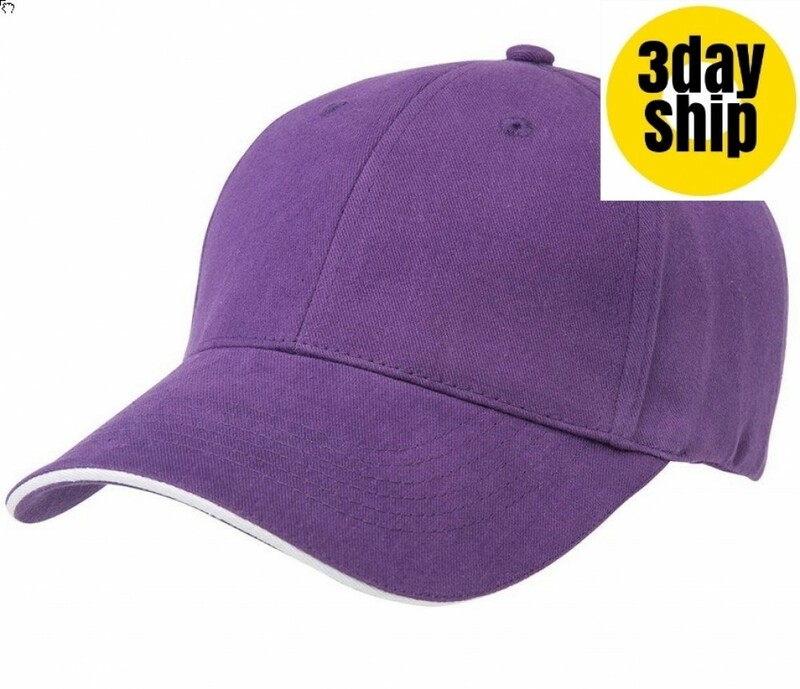 This two-tone peaked cap comes in a solid colour with a hint of contrast showing around the outer edge of the peak. Our colour range is extensive and covers all the shades of the rainbow. Choose the combination that best highlights your company graphics. 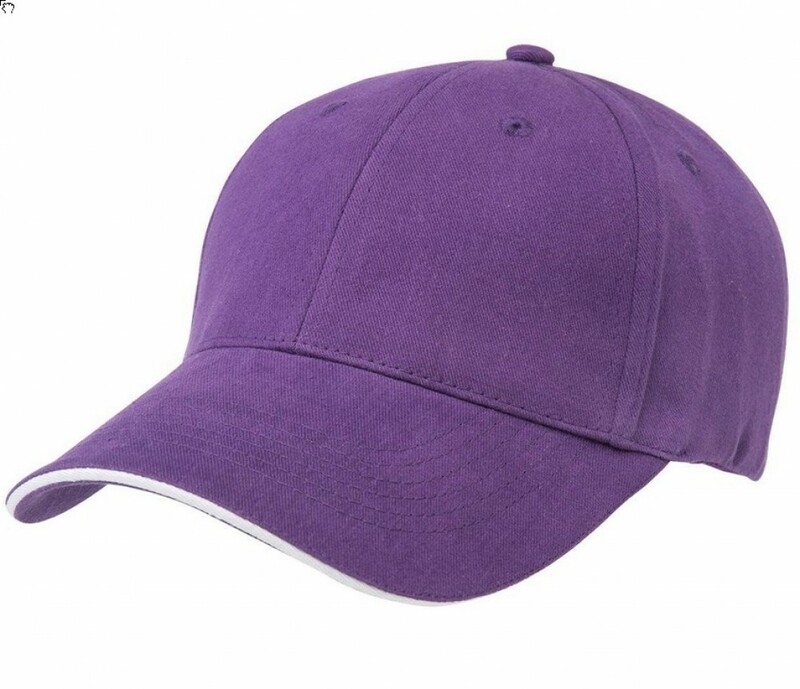 The cap features a fashionable design that is double stitched along the seams and on the peak for extra strength, ensuring that it will always retain its shape. The fabric light and breathable, allowing you to remain cool while being protected from the harsh sun rays. By simply wiping with a damp cloth, the cap will always look as good as new. We use only top quality fabrics that are guaranteed to be long lasting and durable. Offer these caps to spectators at a sports event or let your representatives wear them at your next trade show. They are the ideal promotional gift to get maximum brand exposure. Hand them out to customers, or use them as promotional sales merchandise. These quality caps are sure to see use and keep your brand in the public eye. Our pricing includes 8k of embroidery stitches for your personalised graphic. Additional stitching is available -- ask our sales staff for details Embroidery can be done on the peak, sides or back of the cap and embroidery can accommodate multiple colours. A once off set up of $50 applies for orders under 50 units. Delivery of this item is within Australia only. Please note that our listed pricing excludes GST. We offer a fast two-week turnaround and delivery right to your door wherever you are in Australia. We deliver to all areas -- rural, regional and urban -- in all states and territories: WA | SA | NT | QLD | NSW | VIC | TAS | ACT. We are not able to deliver outside of Australia. If making multiple orders, please let our sales staff know, so we can bundle deliveries and save you money.